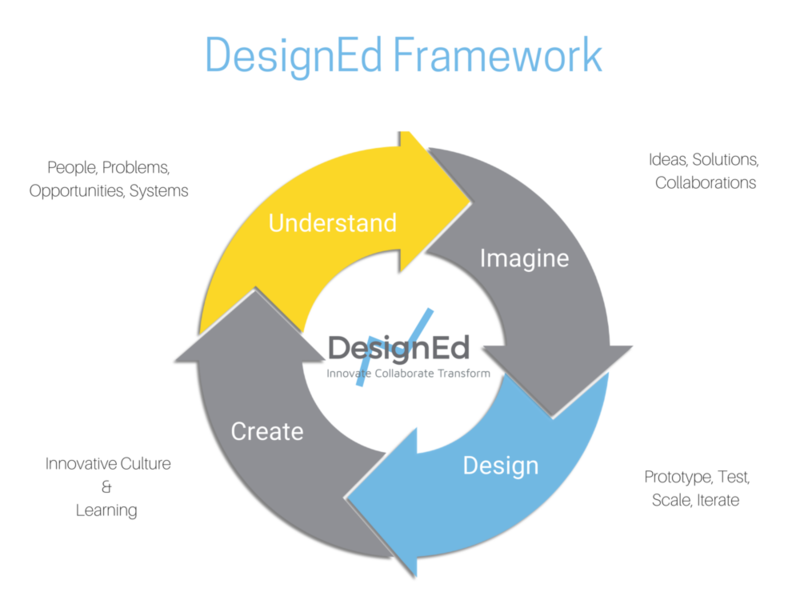 We design innovative culture + curriculum in K-12 schools. We help schools design innovative culture + curriculum to create learning environments where teachers love to teach and students love to learn. Our value to K - 12 schools is we engage, elevate, and retain excellent teachers. 1. SELF-STUDY: DesignEd conducts a self-study of the school and reports findings to leadership. The self-study includes surveys and interviews to gather both data and stories from all school populations (teachers, students, parents) to give everyone a voice and to tell a complete story of a school’s needs and opportunities. 2. TRAIN: Then we train a strategically chosen design team or whole faculty in designing prototypes to innovate culture + curriculum. 3. APPLY: We help you and your teachers test the prototypes throughout the year, ultimately creating an innovative culture + curriculum where we measure a culture shift and implementation of design thinking into curriculum design. We offer a variety of services from one-day workshops to year-long contract work to transform a school's culture + curriculum. Our offerings vary from providing leadership and organizational culture development to curriculum and teacher training.